Choose Morgan Hill for your next adventure. Click the "Choose Morgan Hill" Icon and get to planning. 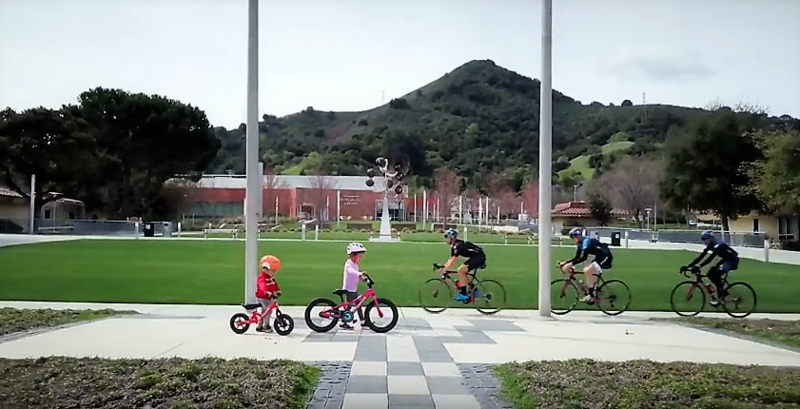 Check out a few of the videos that the City of Morgan Hill put together to promote our fair town during the AMGEN Tour of California time trials, which began and ended here in down town Morgan Hill on May 16, 2018. For over 6,000 years this rich valley filled with oaks and grasses was home for the Ohlone or Costanoan Indians. Life for the Ohlone changed forever with the founding of the missions by the Spaniards in the latter half of the 1770’s. Under Spanish and Mexican jurisdictions Morgan Hill was one of the most substantial Spanish land grants. With Mexican independence in 1821, Californos divided the land into vast ranchos with cattle roaming freely throughout the valley. In 1845, Martin Murphy, Sr. acquired 9,000 acres known as the Rancho Ojo de Agua de la Coche. By 1870 Martin’s seven sons and daughters had managed to acquire more than 70,000 acres. After the 1884 Treaty of Guadalupe Hidalgo between Mexico and the United States transferred the possession of California to the U.S., all existing titles to land were recognized by the conquering Americans. 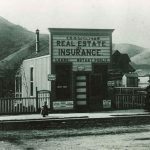 After the gold rush there was an increase of small developments in the South County. Because the distance to San Josè was too great to allow for frequent trips, these developments provided needed services and commodities in their respective vicinities. Along Monterey Road small way stations were established for travelers and stagecoach stops. In 1869, the Santa Clara & Pajaro Railroad was completed. This spurred development and changes due to the accessibility of new markets, creating more growth in the Valley. 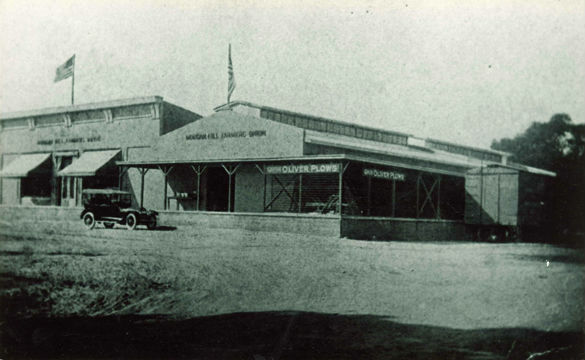 When the first Southern Pacific Railroad station was built in 1898, the railroad referred to this area as Huntington. One of Martin Murphy’s grandchildren, Diana Murphy Hill, married Hiram Morgan Hill in secret. When her father died, she inherited 4,500 acres of the original Martin Murphy rancho in the shadow of El Toro. Diana and Hiram Morgan Hill built their country estate, Villa Mira Monte, between the railroad and Monterey Road in 1884. 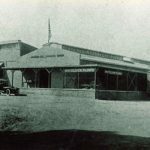 By 1896, Morgan Hill had a train depot, church, newspaper, church, school, water works, post express, telephone and telegraph offices. 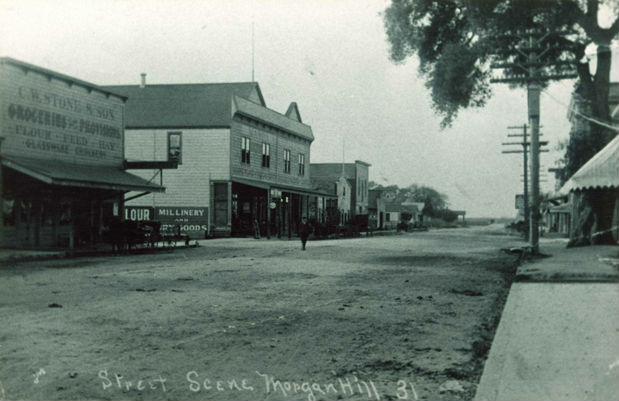 Many visitors would request the train stop at “Morgan Hill’s Ranch,” thereby changing the name to Morgan Hill. 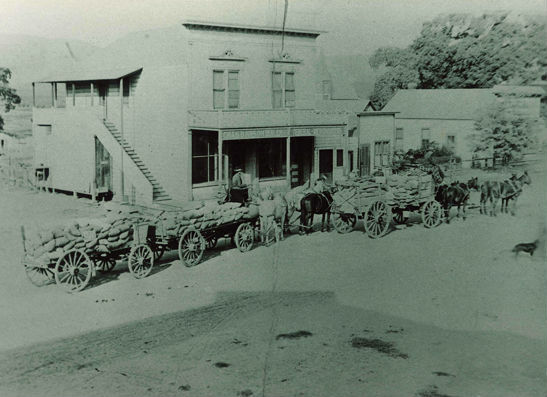 In 1906, the town of Morgan Hill was incorporated. There was much controversy over the incorporation of the city. The Morgan Hill Times printed many editorials supporting the issue, while those opposed were fearful of higher taxes. 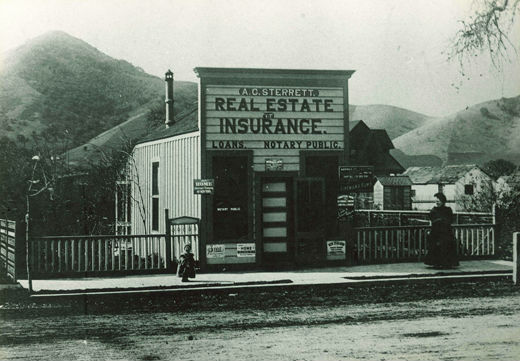 Nevertheless, the “yes” vote won by a margin of 65-36 and Morgan Hill became incorporated November 10, 1906. 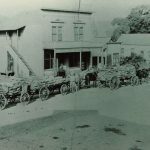 In 1900 orchards completely dominated South County agriculture. By the 1920s, the City was known for its agriculture including prunes, apricots, peaches, pears, apples, walnuts, almonds and grapes. 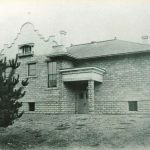 The first school was built in 1894, but was soon outgrown and in 1907 a new elementary school and high school were constructed. 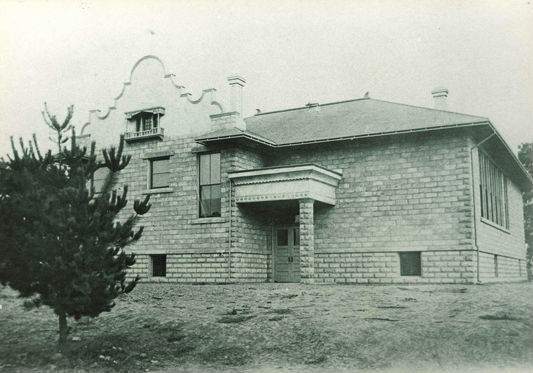 Then in 1924 architect William H. Weeks designed and built a new grammar school, selling the old Morgan Hill Grammar School Building to the Morgan Hill Grange Association. 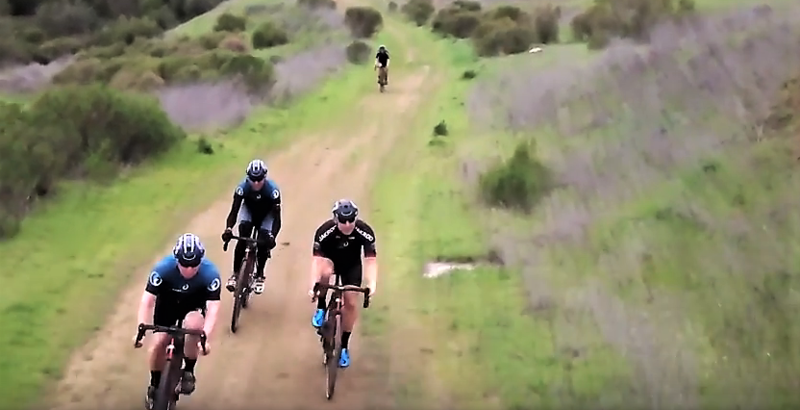 A broad diversity in cultural groups, Spanish, Mexican, Italian, Chinese, Japanese, and several others, contributes to the ambiance that has made Morgan Hill the special community it is today. 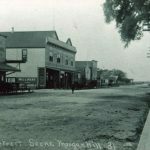 Visit the Morgan Hill Historical Society for more information! "Silicon Valley" - it's easy to forget this area's role as California's first premium wine production region - the Santa Clara Valley. Native Americans named it "the Valley of the Heart's Delight." French and Italian immigrants who settled here during the Gold Rush era recognized the rich soils and Mediteranean climate as the perfect New World home for their European grape varietals. The history of winemaking and viticulture in the Santa Clara Valley goes back to the 18th Century. From the discovery of native "Vitis Californica" grapes growing wild and the first plantings of Mission grapes at the Santa Clara Mission in 1798, through boom years and depression, phylloxera and prohibition, the region has some of the richest tradition of anywhere in the country. Then came the rise of Silicon Valley and the farmland gave way to technology parks, housing and shopping malls. Well known, respected wineries such as Mirassou and Almadén were sold and their old vineyards torn up and subdivided. Winegrowing continued in the south of the county; around Hecker Pass and Watsonville Road a number of family owned wineries continued to produce wines, mostly for local consumption. The 1970s saw a great deal of change. The Cassa Brothers winery which had operated from 1948 to 1969 was bought by the Fortino family. Brothers Ernest and Mario operated the Fortino Winery together until 1972. Guglielmo Winery had been making wine since Repeal, largely under private labels for restaurants. In 1969 they launched their own Mount Madonna label, which later was renamed to Guglielmo. School teachers Terry and Mary Kay Parks founded the Sycamore Creek winery in 1976. Some of their early vintages were exceptional, with their 1978 Cabernet Sauvignon still being in fine condition 30 years later. In 1980 the Bertero winery was purchased by the Vanni family and renamed Solis Winery. (There had already been an earlier Solis Winery in the area which had closed in 1970). The old Zinfandel and Carignane grapes were initially replaced by Chardonnay and Merlot with several other varieties, including Cabernet Sauvignon and Sangiovese, being added later. The winery's reputation has gradually been growing; in particular their estate Fiano (a white grape from Campania in Italy) is excellent. In 1987 the historic Almadén vineyard was sold to a development company. The area's resurgence gained pace in 1989. The key event was the designation of a distinct American Viticultural Area, or AVA; prior to this the region's wines were typically labeled 'Central Coast' or 'Santa Clara County'. Gene Guglielmo, grandson of winery founder Emilio, researched and filed the petition, and on March 28th 1989 the Santa Clara Valley AVA was finally declared. 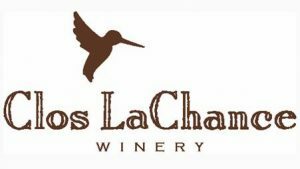 It encompasses an area of over 300,000 acres within Santa Clara County and included all the existing wineries in the area not currently part of an AVA. 1999 saw the beginning of one of the most ambitious new plantings in the area for many years. Bill and Brenda Murphy had originally planted ¾ acres as landscaping at their home in Saratoga. 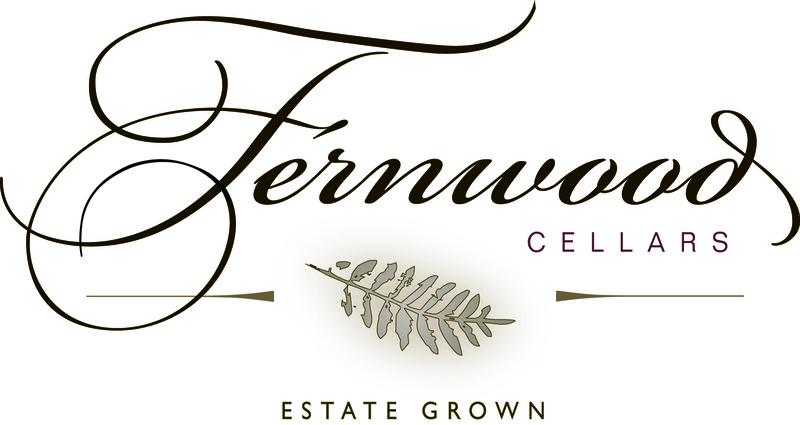 In 1993 they became bonded and released their first vintage, 1992 Chardonnay and Pinot Noir. They initially expanded by launching a vineyard management company called CK Vines, installing and maintaining residential vineyards in the mountains. Then in 1999 the opportunity arose to acquire 150 acres in San Martin around the CordeValle golf course and resort. This has since been planted with over 15 different varieties. The state-of-the-art winery and tasting rooms opened in time for the 2002 vintage. From Morgan Hill’s deep past comes an exciting new future as this old growing region becomes a “new” tourist region for those looking for exquisite wines.